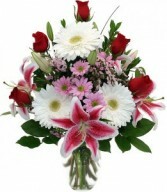 Flame of Love will touch their heart. 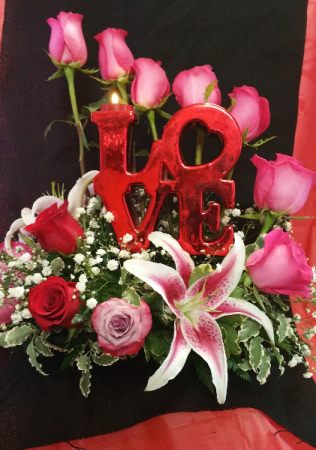 L&D Flowers design this creative arrangement. 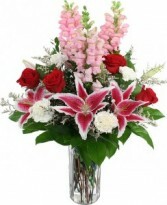 The LOVE is a keepsake, light the candle, with one dozen roses and starglazer lily.